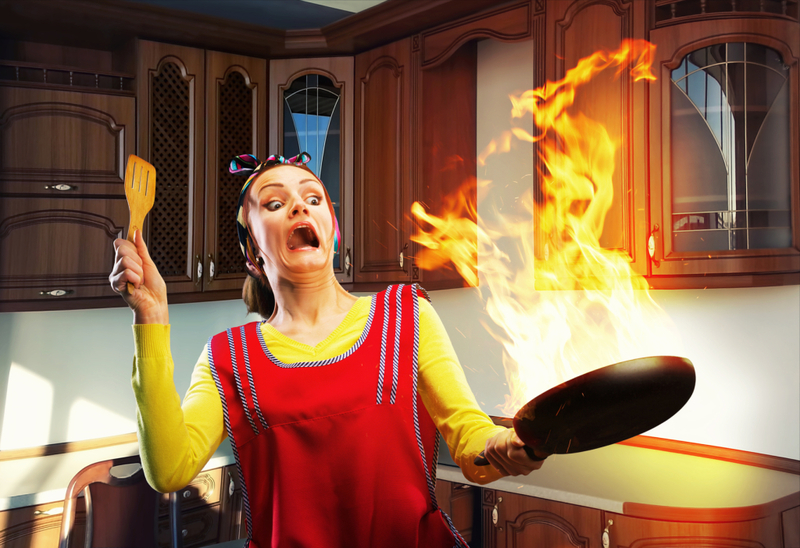 Cooking accidents contribute to an average of 430 home fires and injuries every day, and the National Fire Protection Association (NFPA) warns that the risk of having a fire in the kitchen triples on Thanksgiving Day. A house full of people coupled with hot surfaces and sharp objects—it’s easy to see how accidents can happen when you prepare for this holiday feast. A trip to the emergency room for stitches or a third-degree burn can ruin any Thanksgiving dinner, so let’s take a look at how you can stay safe in the kitchen this year. But first, here are some of the most common mistakes to avoid when you’re cooking. According to the NFPA, roughly 34 percent of home fires are related to leaving food unattended while it’s cooking. These fires are also some of the most dangerous and contribute to nearly 27 percent of fire-related injuries each year. For this reason, it’s best to keep an eye on things when you have food cooking on the stovetop or in the oven. In the event of a large kitchen fire, the NFPA says don’t put the fire out yourself, as this contributes to roughly 55 percent of cooking-related injuries. Instead, evacuate the home and keep the fire contained by closing the door behind you. For smaller fires, turn off the heat (if possible) and use a fire extinguisher, not water, to put out the flames. Some families prefer to deep-fry their turkeys on Thanksgiving, a process that has become notorious for causing fires and severe burns. 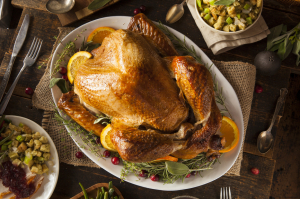 With high temperatures and a substantial amount of combustible cooking oil, this process is so dangerous that the NFPA encourages people to use restaurants or grocery stores to fry their turkeys. “We’ve had fires that singed hair and eyebrows, and splash burns to the face,” said Dr. Robert Glatter, an emergency doctor at Lenox Hill Hospital in New York. Over the last decade, the CPSC estimates that there have been over 50 cases of reported injuries from turkey frying-related fires. If you prefer friend turkey, the safest fryers use no oil at all, says the NFPA. Carving a turkey is dangerous even for professionals in the kitchen. Last year, celebrity chef Giada De Laurentiis sliced her index finger while cutting turkey on a live Thanksgiving TV special. The 43-year-old culinary mastermind, who has been cooking since she was a child, was rushed to an emergency room for a deep laceration. Giada’s turkey-cutting catastrophe is a reminder that accidents, whether you’re careful or not, can happen in the kitchen. If you suffer any of the above kitchen injuries this year, make sure you get to an emergency center immediately. Also, make sure you thoroughly cook turkey to at least 165° F. Consuming raw or undercooked turkey is harmful and may lead to food poisoning.